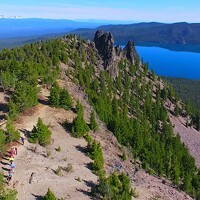 There are certain trails in the hundreds of miles of singletrack in Central Oregon that become popular not because of any one thing in particular. Maybe it's the great views or the awesome features. Some trails hold a certain je ne sais quoi; elements that come together to form a perfect union, a vibe and feeling of awesomeness; a recipe for a stellar mountain bike experience. Mrazek Trail is one example. 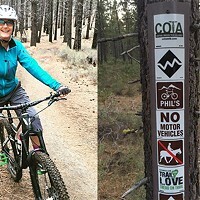 Built and maintained by Phil Meglasson (yes, THAT Phil), and named after Czech national and saber-maker-turned-bike-frame-builder Boh Mrazek, the Mrazek MTB Trail is close to Bend, yet somehow seems set back and out of the way. The trail runs from Shevlin Park to its terminus at the junction of North Fork and Metolius-Windigo trails. 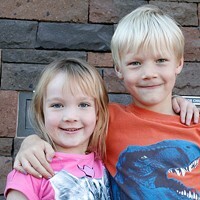 Although many people shuttle from Dutchman Flat, the hearty choose the up-and-back ride starting at Shevlin Park. Start your ascent on the Shevlin Park Loop trail, inside the 652-acre Shevlin Park preserve. Be aware of hikers, runners, dog walkers and baby-stroller-pushing families for the first two miles. The scorched timber of the Two Bulls fire from 2014 is a stark reminder of the fragility and power of nature—also giving us amazing views of several Cascade summits. Super-flowy forested singletrack climbs upwards toward Farewell junction. Take a breather, have a snack, turn your whip around and cash in on your hard-earned toil.